In light of the historic wildfires out west and the dozens of California Fire Fighters who've lost their homes while protecting others, the UPFFA has stepped up to do what we can to help in an end of year Relief Fundraising Campaign we're calling Connecticut Fire Fighters for California Fire Fighters, or #CTFF4CAFF, and we hope you'll tell all your members that every penny raised will be bundled into one check and sent to the California Firefighters Foundation, where it will be distributed evenly among all IAFF members who've lost their homes in the recent fires..
On Christmas Day, 12/25, our Facebook Page "CT Fire Fighters for CA Fire Fighters" is asking everyone after they've open their gifts and eaten their dinners to take a moment from giving thanks to pay some of it forward to those who need it most by donating whatever they can to the Fairfield Fire Fighters Charitable Foundation 501(c)3 with a check memo "CA FFs" sent to FFFCF, PO 1463, Fairfield CT 06825. 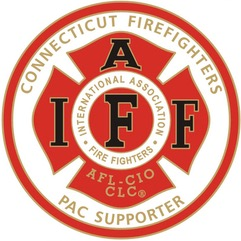 On December 26th the Little Pubs of Greenwich, Fairfield, Old Saybrook, Ridgefield & Wilton are joining in a "Five 4 Fire" Campaign in which a portion of ALL sales on the busiest restaurant day of the year will be sent to the FFFCF by owners Doug & Daneen Grabe to distribute among CA FFs; UPFFA Members are encouraged to stop by for a meal. On December 27th at 8:30 pm the Rum Runners along with other professional IAFF musicians will perform at the Lyric Hall on Whalley Ave in New Haven in a "CT First Responders for Cali Relief Fund Benefit Concert", with ALL proceeds going to the CFF; there will be two cash bars open along with a Silent Auction, and retired Fairfield Police Chief & Caroline's Standup Comedian Gary MacNamara will MC. Suggested minimum donation $20. On December 28th at 8:30pm retired East Hartford FD veteran and Equity actor Frank Schiavone will perform opposite his wife, award-winning Hartford Courant columnist Susan Campbell in "The Guys" about an FDNY Captain who finds a Columbia English professor to help him with 11 eulogies; again, ALL proceeds are going to the CFF and there will be two cash bars open along with a Silent Auction. Suggested minimum donation $20. On December 29th at 8:30 pm retired Greenwich FD veteran and Broadway Equity actor Guy Fortt will perform opposite Equity actress and professional singer Denise Michelle Johnson in "The Guys"; once again, ALL proceeds are going to the CFF and there will be two cash bars open along with a Silent Auction. Suggested minimum donation $20. On December 30th at 8:30 pm retired Fairfield FD veteran and Equity actor Christopher Tracy will perform opposite Equity actress and award-winning playwright Gina Russell Tracy in "The Guys", with ALL proceeds going to the CFF and two cash bars open along with a Silent Auction. Suggested minimum donation $20. Finally, on December 31st at 9:00am at the Water's Edge Resort & Spa in Westbrook there will be a "CT Fire for CA Ice" Penguin Plunge; participants are asked to obtain sponsors and donate all funds received to the FFFCF, which will then be sent directly to the CFF where CPFFA President Brian K. Rice will arrange for distribution to those members whose homes have been substantially destroyed by the recent fires. All costs - facility rental, performer fees, royalties, and processing costs - have been waived, and the FFFCF has no overhead throughout its seven-year operation as a tax-deductible Foundation, so ALL FUNDS RECEIVED will go to our Brothers & Sisters in the greatest need; it is expected that the UPFFA's 501(c)3 will be operational by early next year and staffed by members of the Retired UPFFA organization in order to continue sending all funds to their intended recipient.